His talent is natural, and his training through the musical school of hard knocks. Keiffer Grande, now 22, first discovered his love for singing when he first belted out a hymn at the young age of 8 in his church in Palawan. His loved ones like his mom saw his gift and helped him overcome his innate shyness to encourage him to join weddings, reunion parties, debut parties, and other private occasions held by his friends. 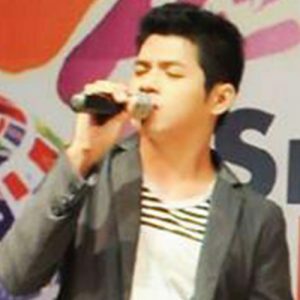 Keiffer shares, “I often join singing contests which I consider my training ground because I never had any formal voice lessons.” As his talent grew, this musical buff who looks up toGary Valenciano, Brian McKnight, and South Border found himself performing the front act for some OPM singers in the restaurant circuit. And Keiffer has gone far from the first note he sang to praise the Lord in his childhood years: he ended up as a semi-finalist in the 2011 Karaoke World Championships and along with his band, broke through the crowds and was picked to audition in front of the judges of X-Factor Philippines.